Niksan Info Media Pvt. Ltd has formed strategic alliance with top lingerie brands to further its interest in the growing lingerie sector of the Indian Market. Niksan Info Media has pioneered the field of Lingerie Journalism and Trade in the Indian Subcontinent. The Company has various Publications and Trade shows set up in India which has been a key in the Development of the Indian Lingerie Market. 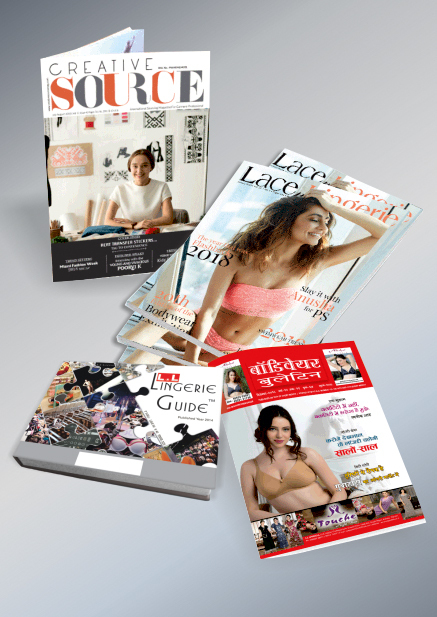 Lace n Lingerie ( English ) and Bodywear Bulletin ( Hindi) magazines are the pillars on which the Indian Lingerie Industry has stood for the last two decades. The Company also publishes “Lingerie Guide” every three years ,which is an almanac for the entire Trade in India. This guide is distributed at every single trade show that the company takes part in. The company organises two major trade shows viz. “ BODYWEAR INTERNATIONAL TRADE EXPO” – The International Expo that happens in the Delhi and Mumbai Alternately where National and International Brands take part in this Expo and “ALL INDIA BODYWEAR MEET”, a travelling show, that exposes any brand to the entire Market of India , this platform is loved by all, and it made sure that Brands wouldn’t have to shell out extra money from their pocket to reach the mofussil markets in India.